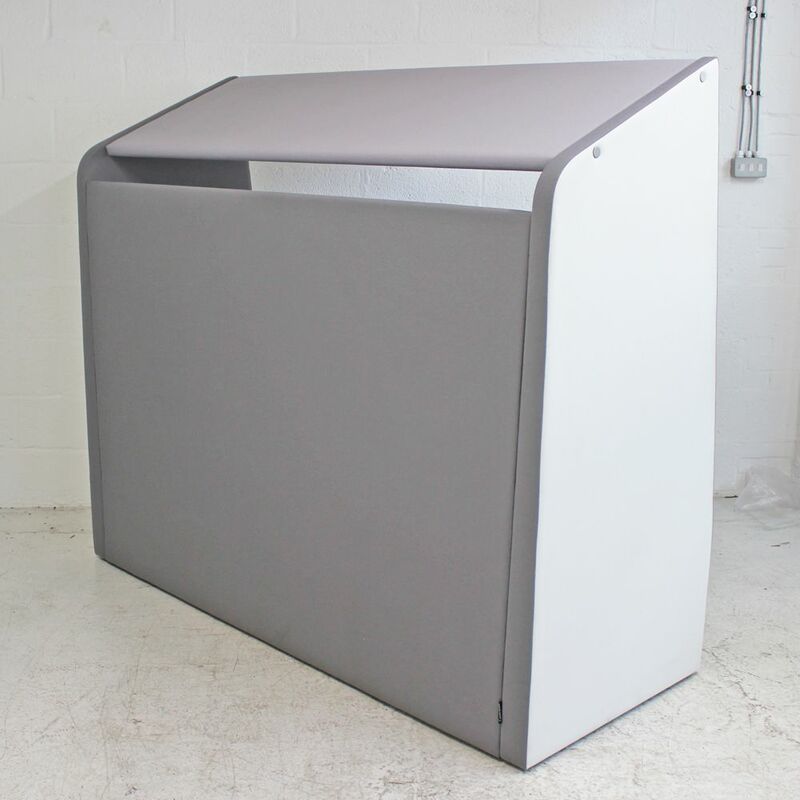 Finished predominately in a light grey fabric this booth seating also includes white leather side panels and blue fabric on the seat. Striped feature cushions break the colour whilst adding comfort and style. 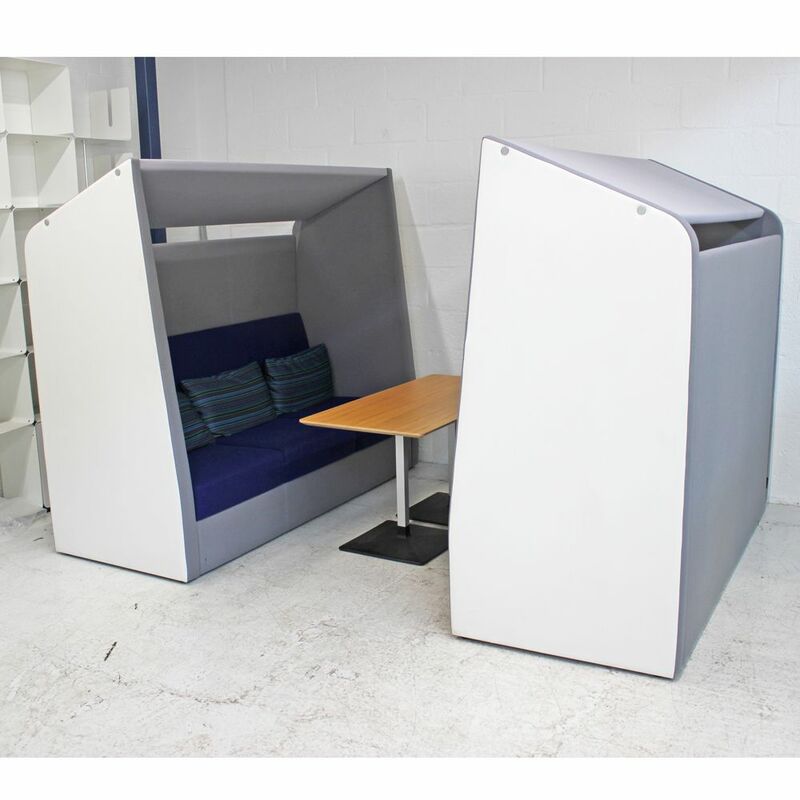 Ideal to be used together (pictured) to create meeting booths with a central table or individually to be used as a comfortable place to sit whilst been given a sense of privacy. 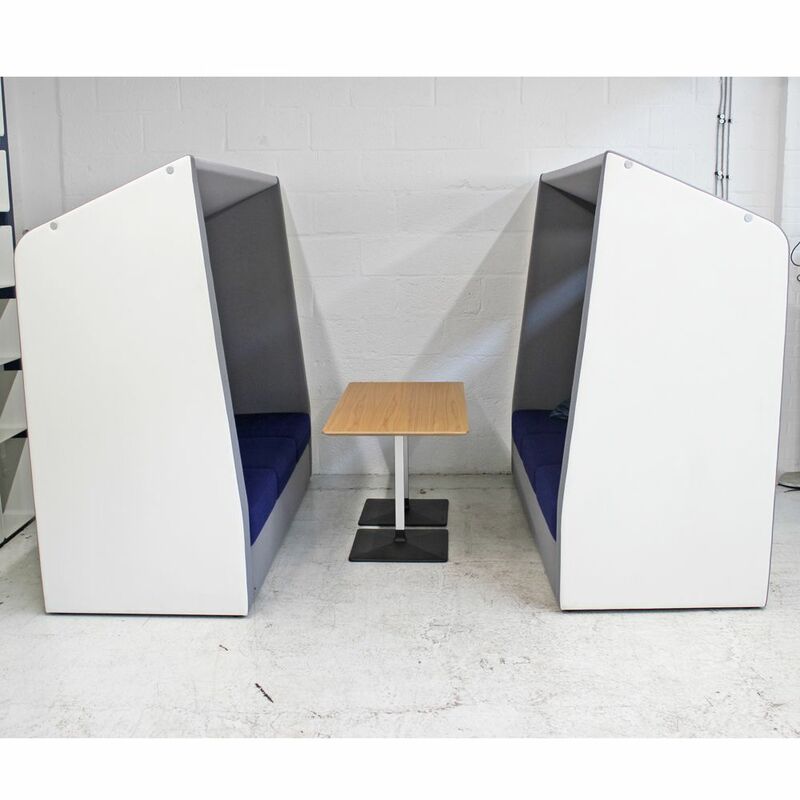 Adding acoustic benefits to anywhere it is used, these meeting booths are ideally suited within office spaces, corridors, employee communal areas or waiting areas. 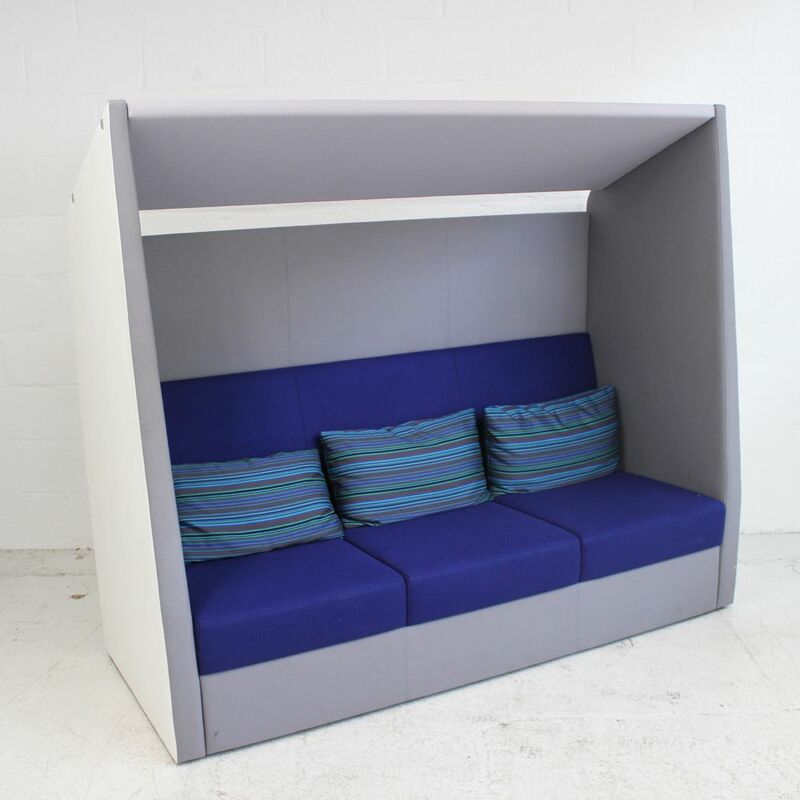 If you're looking for quality used reception chairs like this bus stop for office then Barkham Office Furniture is the place to visit. 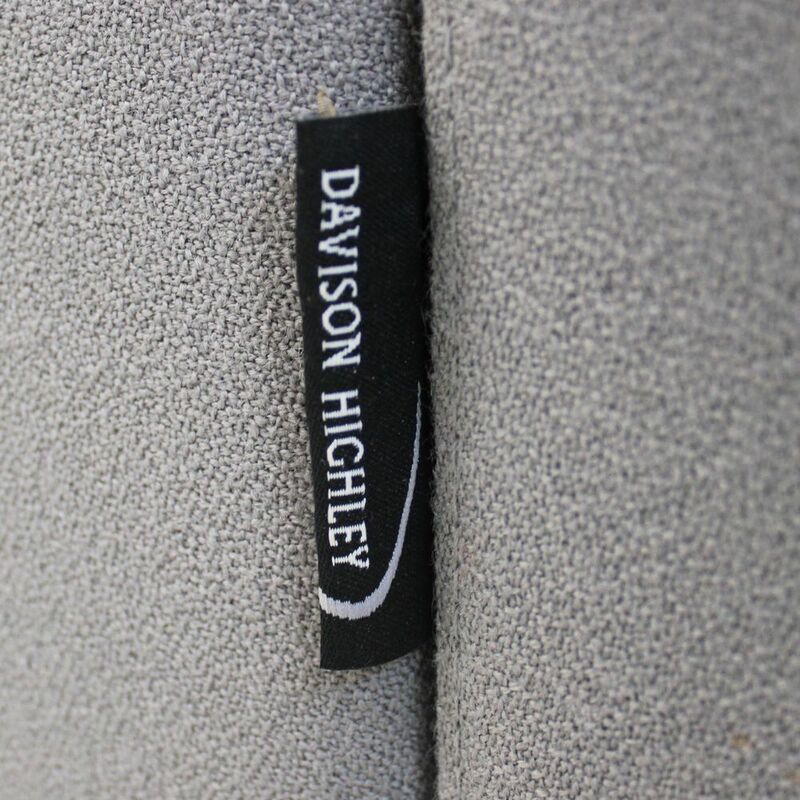 For more information on the enclosed sofa please don't hesitate to get in touch.